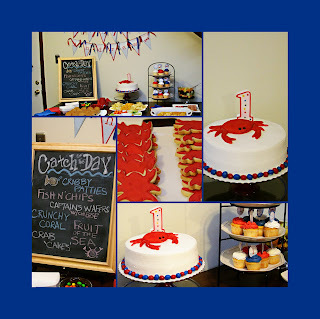 Nautical by Nature: Nautical Photo of the Week: Crab-tastic First Birthday Party! 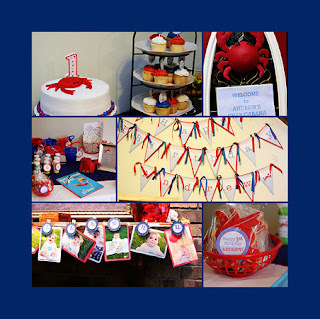 Nautical Photo of the Week: Crab-tastic First Birthday Party! 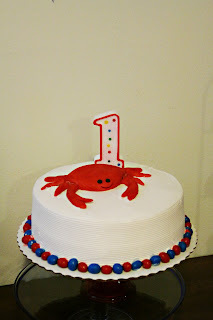 This week I am featuring a crab themed firth birthday party from Andie from Sweet. Southern. Spirited. 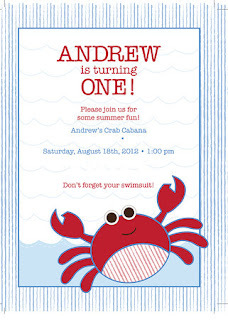 Her adorable son Andrew turned one and had the cutest crab party! The whole party was inspired by a seersucker crab outfit that Andie got for Andrew some time ago and she decided to tie it all together with red, white & blue decor. 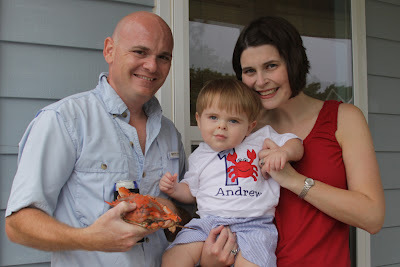 Andie's husband's birthday is six days after Andrew's- so she figured the best way to celebrate both birthdays would be with a combination crab boil AND pool party! Cake Decorations- Crabs created by Natalie's very talented sister! 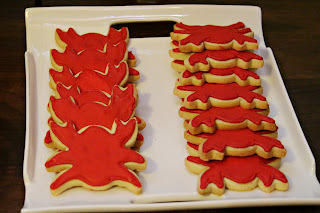 Cookies- Andie's niece, Victoria (who is in a culinary program) made them! Awww what an adorable theme!! You can't get any cuter that crabs and seer. Such a cute idea. Andie is too precious! Oh my word what a great idea!! She did such a great job, everything looks amazing! Have a great weekend! Cute theme! I'm filing this away for later use!! Wow, I'm always so impressed by the parties you feature on the blog. They're all so fabulously well done!